We're constantly excited to have Novices join us anytime during the season. 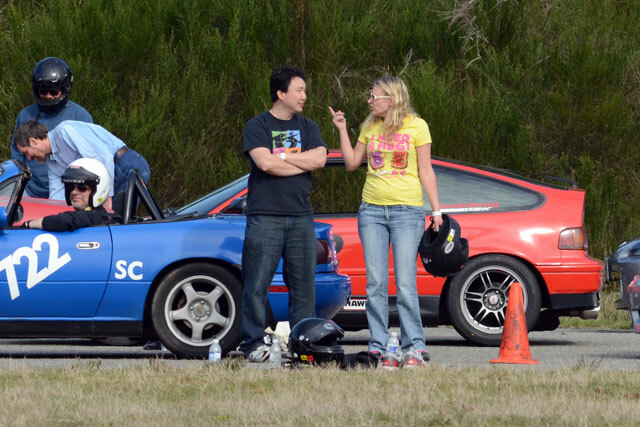 Even if you've never done Autocross or any other kind of motorsports before, you're more than welcome to race with us at any official event. At every event, we will provide skilled helpers to ride along with novices and give feedback. There's no pressure whatsoever to perform well or be competitive. The main objective is for you to have fun with your car. In addition, we will have at least one dedicated Novice School Event every season. These events are full-day sessions geared specifically for newcomers to the sport. See our schedule and the Novice Handbook to learn more. Regardless of whether you're attending a Novice School or an official Race Event, novice instructors will not only help you learn how to navigate through the 'sea of cones' that form an Autocross course, but they will also help you learn the basics of car handling, braking, turning, how to deal with oversteer and understeer etc. - the same fundamental skills that apply to any kind of car racing. We also have guided course walks at all events. For more information about course walks go here!